A Podcast says a thousand words, at least, on Gareth Edwards' Rogue One. 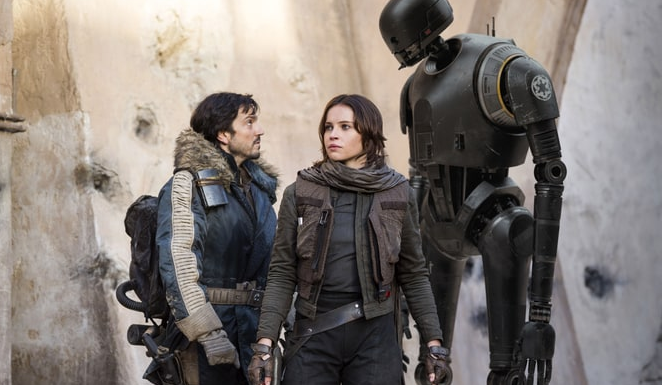 It’s the first stand-alone Star Wars movie ever (if you don’t count the Christmas Special, which we don’t), and as such, Gareth Edwards’ Rogue One: A Star Wars Story was released in cinemas surrounded by some pretty mega expectations. The initial impressions were glowing, the reviews that followed less so, and our own review here at ReelGood even less so. So, what’s the deal with Star Wars? Jynn had always been too distracted by the mission to notice the occasional loving glances between Cassian and his robot friend. Luckily, the fellas decided to get together to nut it all out and decide whether Rogue One: A Star Wars Story was a bold step forward for the franchise that George Lucas unleashed on the world back in 1977.